The slip insert is stamped "Collector's Edition Colored Vinyl." 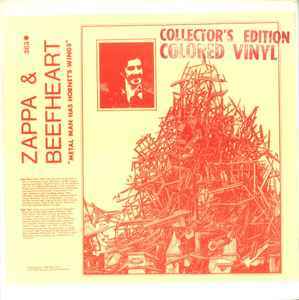 Frank Zappa & Captain Beefheart - Metal Man Has Hornet's Wings is on black vinyl. B6 is misnamed "King King" on the slip insert.